When it comes to a database query language, linguistic efficiency matters. Querying relational databases is easy with SQL. As a declarative query language, SQL allows both for easy ad hoc querying in a database tool as well as specifying use-case related queries in your code. Even object-relational mappers use SQL under the hood to talk to the database. But SQL runs up against major performance challenges when it tries to navigate connected data. For data-relationship questions, a single query in SQL can be many lines longer than the same query in a graph database query language like Cypher (more on Cypher below). Lengthy SQL queries not only take more time to run, but they are also more likely to include human coding mistakes because of their complexity. In addition, shorter queries increase the ease of understanding and maintenance across your team of developers. For example, imagine if an outside developer had to pick through a complicated SQL query and try to figure out the intent of the original developer – trouble would certainly ensue. But what level of efficiency gains are we talking about between SQL queries and graph queries? How much more efficient is one versus another? The answer: Fast enough to make a significant difference to your organization. This week, we’ll compare query languages for both relational and graph databases, specifically examining SQL (the de facto query language of RDBMS) and Cypher (the most widely used graph query language). It’s worth noting that a query language isn’t just about asking (a.k.a. querying) the database for a particular set of results; it’s also about modeling that data in the first place. We know from last week that data modeling for a graph database is as easy as connecting circles and lines on a whiteboard. What you sketch on the whiteboard is what you store in the database. On its own, this ease of modeling has many business benefits, the most obvious of which is that you can understand what your database developers are actually creating. But there’s more to it: An intuitive model built with the right database query language ensures there’s no mismatch between how you built the data and how you analyze it. A query language represents its model closely. That’s why SQL is all about tables and JOINs while Cypher is about relationships between entities. As much as the graph model is more natural to work with, so is Cypher as it borrows from the pictorial representation of circles connected with arrows which any stakeholder (whether technical or non-technical) can understand. Just like SQL is the standard query language for relational databases, Cypher is an open, multi-vendor query language for graph technologies. The advent of the openCypher project has expanded the reach of Cypher well beyond just Neo4j, its original sponsor. Cypher – also a declarative query language – is built on the basic concepts and clauses of SQL but with added graph-specific functionality, making it simple to work with a rich graph model without being overly verbose. If you have ever tried to write a SQL statement with a large number of JOINs, you know that you quickly lose sight of what the query actually does, due to all the technical noise. In contrast, Cypher syntax stays clean and focused on domain concepts since queries are expressed visually. A social graph describing the relationship between three friends. This Cypher statement describes a path which forms a triangle that connects a node we call jim to the two nodes we call ian and emil, and which also connects the ian node to the emil node. As you can see, Cypher naturally follows the way we draw graphs on the whiteboard. Now, while this Cypher pattern describes a simple graph structure it doesn’t yet refer to any particular data in a graph database. To bind the pattern to specific nodes and relationships in an existing dataset we first need to specify some property values and node labels that help locate the relevant elements in the dataset. could, in theory, occur many times throughout our graph, especially in a large user dataset. Removes nodes, relationships and properties. Skip results at the top and limit the number of results. Now that you have a basic understanding of Cypher, it’s time to compare it side by side with SQL to realize the linguistic efficiency of the former – and the inefficiency of the latter – when it comes to queries around connected data. A relational data model of an organizational domain. 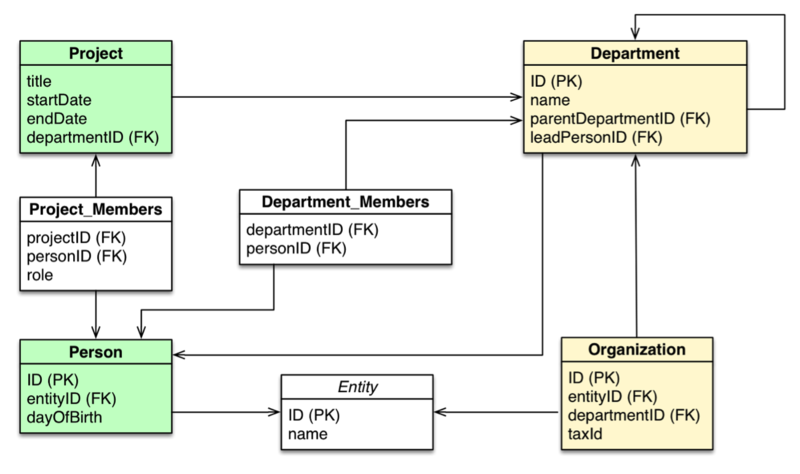 In the organizational domain depicted in the model above, what would a SQL statement that lists the employees in the “IT Department” look like? And how does that statement compare to a Cypher statement? In this example on the previous page, the Cypher query is half the length of the SQL statement and significantly simpler. Not only would this Cypher query be faster to create and run, but it also reduces chances for error. This Cypher query says that for each customer who bought a product, look at the products that peer customers have purchased and add them as recommendations. The WHERE clause removes products that the customer has already purchased, since we don’t want to recommend something the customer already bought. Each of the arrows in the MATCH clause of the Cypher query represents a relationship that would be modeled as a many-to-many JOIN table in a relational model with two JOINs each. So even this simple query encompasses potentially six JOINs across tables. This SQL statement is three times as long as the equivalent Cypher query. It will not only suffer from performance issues due to the JOIN complexity but will also degrade in performance as the dataset grows. When it comes to application performance, your database query language matters. SQL is well-optimized for relational database models, but once it has to handle complex, relationship-oriented queries, its performance quickly degrades. In these instances, the root problem doesn’t lie with SQL but with the relational model itself, which isn’t designed to handle connected data. 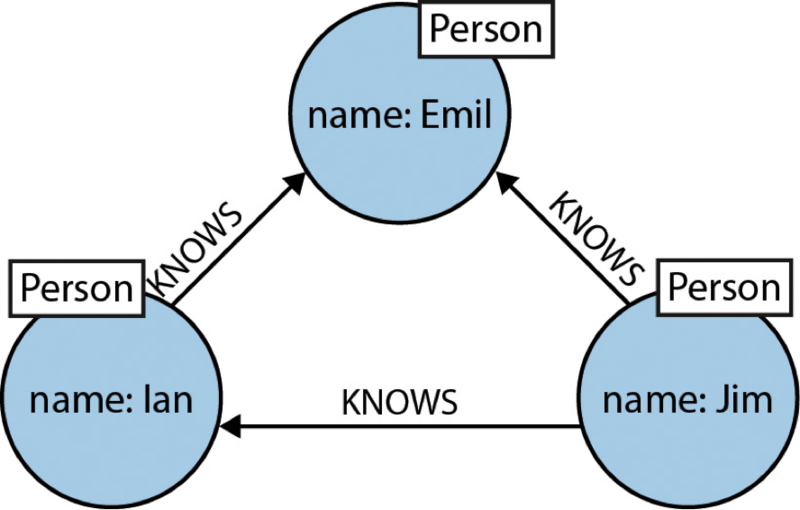 For domains with highly connected data, the graph model is a must, and as a result, so is a graph query language like Cypher. If your development team comes from an SQL background, then Cypher will be easy to learn and even easier to execute. When it comes to your next graph-powered, enterprise-level application, you’ll be glad that the query language underpinning it all is build for speed and efficiency. Next week, we'll explore different deployment paradigms for relational and graph databases, including polyglot persistence. It would be awesome if there was a matching Graph Data Model for “A relational data model of an organizational domain”..